A fun simple backpack to stuff and go! 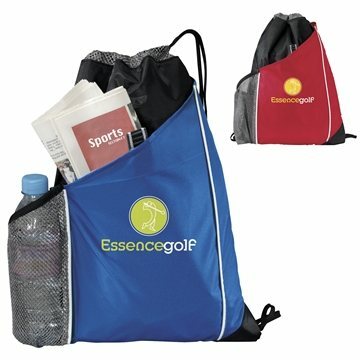 This bag is great for a company or golf event, theme parks, education, team sports and more! Drawstring closure on main compartment. Front slip pocket with custom tab and hook-and-loop closure. I will purchase more, we are running out quite fast. The color and quality were spectacular and also the imprint was excellent. Your company provided a quality product at a fair price in a timely manner. Another great choice for our employees. We love having so many options right at our fingertips. AnyPromo is our go to for all of our promotional needs. It's a nice product that does it job. Liked our logo on it. the sales rep was very friendly and very responsive. Cute and very practica giveaway for our seminars. Logo was nicely displayed on each of them.